Clyde P. Barton, 93, passed on December 23, 2018. He was born on October 16, 1925 to Lexton Philmore and Emily Jane Barton in Dalton, Kentucky. Clyde was a PFC in the Army. Clyde retired from Signal Delivery as a semi-truck mechanic. 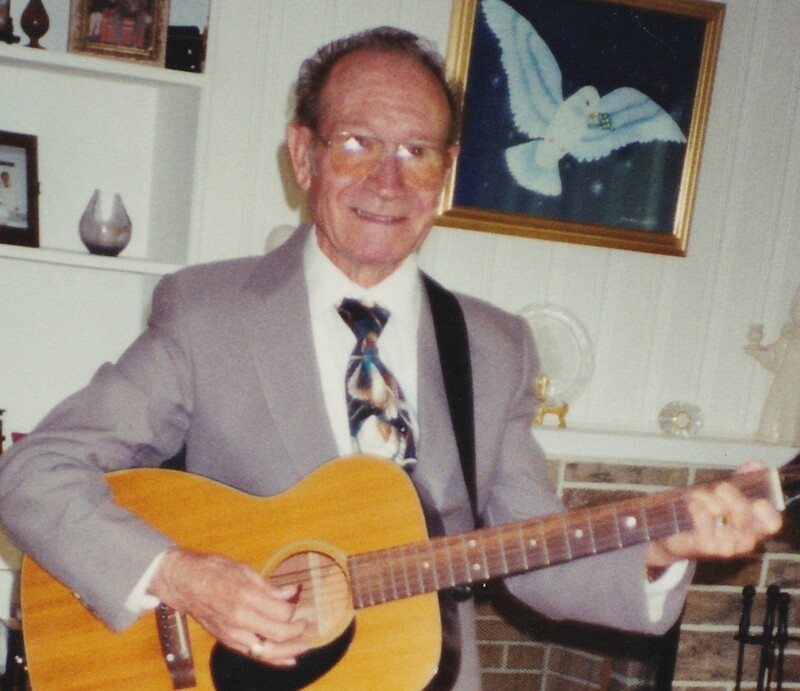 He loved singing old country songs and playing his guitar and harmonica. He also enjoyed playing golf and bowling. He was a member of North Friendship Baptist Church in Lynnville, Indiana. Clyde is survived by his son-in-law Mike Austin; grandchildren Misty (Wayne) Pfettscher, Dusty (Ivan) Crowley, and Wendy Austin; 8 great-grandchildren; his niece and nephew Kathy (Brett) VanHaaften and Mike (Rita) Alexander; and his special friend Betty Kimmel. Clyde was preceded in death by his wife Helen Barton, his daughter Elaine Austin, his sister Velada Alexander; and his great-grandchild Jonathon. Visitation will be Friday, December 28th from 5 p.m. to 8 p.m. at Sunset Funeral Home and Saturday, December 29th from 10 a.m. to 11 a.m. Funeral services will begin at 11 a.m. Saturday with a burial to follow at Sunset Memorial Park. In lieu of flowers, please make donations to North Friendship Baptist Church in Lynnville, Indiana.